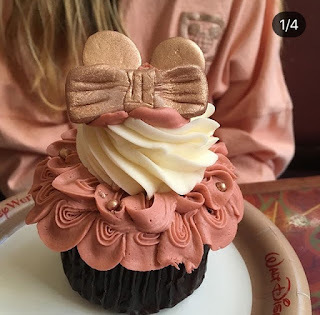 So ROSE GOLD is the HOT new trend, especially since Disney released the rose gold ears and the rose gold spirit jersey, but my favorite is the yummy (and elegant) Rose Gold cupcake! I tried the original one at Epcot in January. It was a beautiful vanilla cupcake with hazelnut swirl, rose gold buttercream, fondant ears, edible glitter and chocolate pearls. 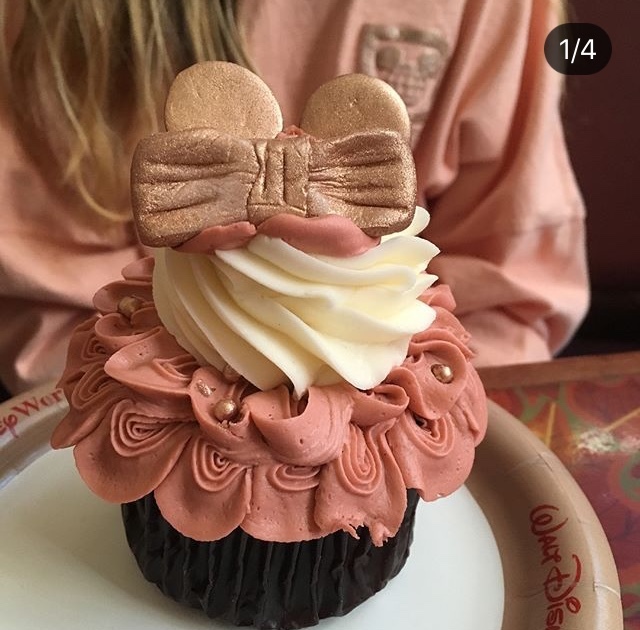 And this one at the Gasparilla Island Grill at the Grand Floridian -- a Rose Gold Unicorn Cupcake with rose gold sponge and hazelnut cream cheese filling. My favorite one (so far!) can be found at Yacht Club in the Market at Ale & Compass. It's a Vanilla cupcake topped with Strawberry mousse! 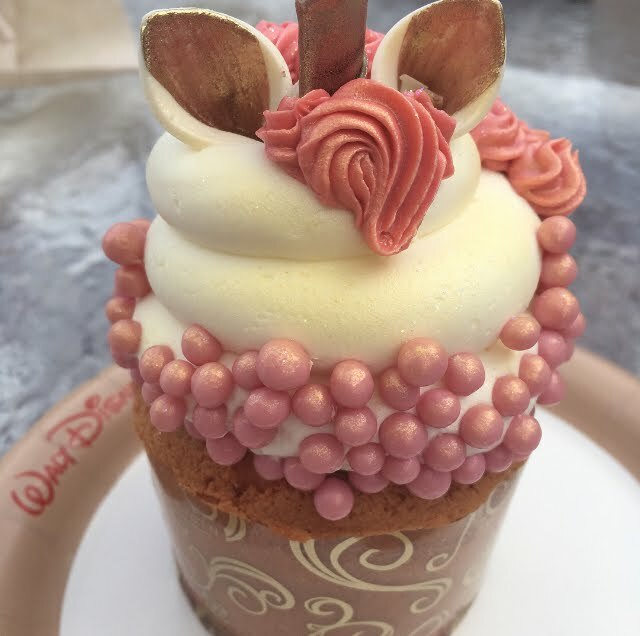 There are several other versions of the rose gold cupcake at Disney. You can learn more by visiting the Disney Parks Blog HERE or Oh My Disney Website HERE.